A Tennessee Certified Nurse Aide is a valuable member of a healthcare team, providing basic care to patients in various medical facilities and to residents of long-term care facilities. The Tennessee Department of Health (TDOH) approves training programs and maintains the Nurse Aide Registry of people meeting all CNA training and certification requirements. The duties the CNA performs are instrumental in ensuring people with health needs are properly monitored on a day-to-day basis. The Certified Nurse Aide is also called a Certified Nursing Assistant. Federal law requires that anyone interested in working in nursing homes and other long-term care facilities must prove he or she meets minimum qualification standards. A new CNA completes a training program and takes a Competency Evaluation exam to get listed in the Tennessee Nurse Aide Registry. However, there are alternate pathways to getting listed on the Registry. The most common pathway to getting a name listed on the Tennessee Nurse Aide Registry is the one followed by a new CNA. The student completes a training program approved by the TDOH. Once training is completed, the person applies to sit for the Nurse Aide Competency Evaluation Examination (Exam). After passing the Exam, the person’s name is entered into the Registry and can seek employment as a CNA in Tennessee. Another pathway is allowed for students who are enrolled in Registered Nurse (RN) or Licensed Practical Nurse (LPN) programs. Nursing students who complete the basic nursing courses can submit school transcripts to the TDOH to prove they have learned the knowledge and skills of a nurse aide and request to challenge the Exam. If approved, applicants can take the exam without additional training. A third pathway is a person who can prove military training as a medic was successfully completed. If approved, the person can challenge the test to become a Tennessee Certified Nurse Aide. Foreign-trained nurse aides may also request to challenge the Exam. Each application for a challenge is considered on a case-by-case basis. If the pathway chosen requires successfully completing a CNA training program, the next step is selecting a state-approved school or facility among the available CNA programs in Tennessee. Tennessee is divided into three regions: East, Middle and West. 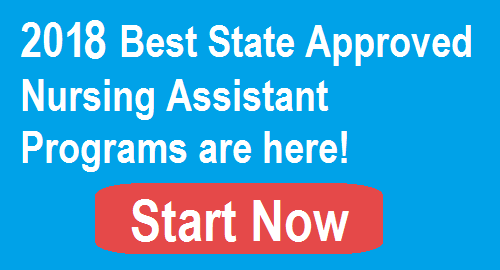 Each region has close to or more than 100 state-approved CNA training programs. Training is offered in a variety of venues that include high schools, educational institutes, hospitals, nonprofits, vocational training centers, nursing homes and long-term care facilities. There are 294 Certified Nurse Aide programs in Tennessee approved by the State. The school data is updated in August 2017. Middle Nashville Davidson NATS, Inc.
Middle Nashville Davidson Onepulse, Inc.
East Greeneville Greene Laughlin Memorial Hospital, Inc.
West Memphis Shelby Ave Maria Home, Inc.
Each school can set a training schedule that can vary widely from program to program. There are CNA classes in Tennessee held morning and evening. For example, the Compassionate Care Technical Center CNA training program in East Tennessee is three-and-a-half weeks long. It requires 96 hours of training and does not require a high school diploma or GED. OnePulse Inc in Middle Tennessee offers a five-week course that includes earning CPR certification. Students attend full-time Monday through Friday. The Career Academy in West Tennessee offers a four-week day or six-week evening program. Federal law allows a person work as a paid employee in a Medicare or Medicaid funded healthcare facility for up to 120 days while completing CNA training. However, if the individual is not certified by the end of that period, he or she cannot continue working as a nurse aide giving hands-on patient care. The costs of CNA training are set by schools or programs. Using the prior examples, tuition and fees at the Compassionate Care Technical Center is $700. This includes tuition, textbook, student ID and liability insurance. The school website says that financing is available for a portion of the tuition and fees. In addition, the student will have to pay for uniforms and supplies. OnePulse Inc charges $800 for tuition, $50 for textbooks, a $20 application fee and a $40 laboratory fee. The total is $910 and financial assistance and payment plans are available. The Career Academy charges $1,350 which includes tuition, CPR certification and state testing fees. The school allows students to make payments. When comparing costs, be sure to fully understand what the rates include or do not include. Also, schools can change their rates at any time. One of the best ways to get free CNA training in Tennessee is to work and train at the same time at a nursing home or other long-term care facility. The employer must pay for all training costs. Also, a Certified Nurse Aide who is employed at a federally funded nursing home or long-term care facility within 12 months of completing training can get reimbursement for training costs from the employer. It is important to ask program staff if financial aid opportunities are available. Federal financial aid is normally not available for non-credit short-term vocational programs. However, there may be state workforce training funds or private funding sources available. There are variations of these requirements. For example, some schools require students to be 18 years old. Some programs will allow students to enroll when they do not have a high school diploma or GED if the persons can score a 70 or higher on a student entrance exam. In the laboratory and clinical settings, students will learn specific manual skills. They include skills like handwashing, ambulation with gait belt or walker, taking and recording vital signs, catheter care, feeding and dressing clients, making an occupied bed and many others. After completing training in Tennessee, it is important to take and pass the CNA exam within 24 months. Otherwise, the training program must be completed again. D&S Diversified Technologies LLP, dba Headmaster, is responsible for scheduling, administering and scoring the Tennessee CNA Competency Evaluation Exam. The Exam has two sections including a written test (or an oral test) and a skill test. The written test consists of 75 questions that are taken from the material taught in a state-approved training program. A score of 75 percent or higher is needed to pass this part of the Exam. The Exam is available as an oral test also. The skill test evaluates how well a student mastered the skills taught in the Certified Nurse Aide training program. Applicants are tested on five skills. One of the skills is handwashing, and the remaining four are randomly selected. It is necessary to earn a score of 80 percent to pass this section of the Exam. If the person fails to pass a skill, the skills test will have to be retaken and the failed skill will be included as one of the five. If a person fails two or more tasks, the skills test has to be retaken and one of the failed skills will be included. After meeting all CNA certification requirements, Headmaster notifies the TDOH and the applicant’s name is placed on the Registry. Once a person achieves CNA certification in Tennessee, the Registry listing is active for two years (24 months). To renew CNA certification at the end of the two-year period, it is necessary to prove that at least one shift of eight (8) hours of paid employment as a CNA was completed during the 24-month certification period. The employer provides the verification of employment. If the person does not renew the certification at the end of the certification period, or fails to work the eight hours, reinstatement requires retraining and retaking the Exam.